Brookland’s Finest Bar & Kitchen has updated its menu for spring, folding in seasonally inspired offerings including a salad composed of red lentils, butter beans, and morels ($12), as well as a vegan carpaccio featuring heirloom tomatoes, cucumber, and pea tendrils ($12) alongside regional favorites such as Baltimore pit beef sandwiches ($14) and fried Maryland catfish ($17). 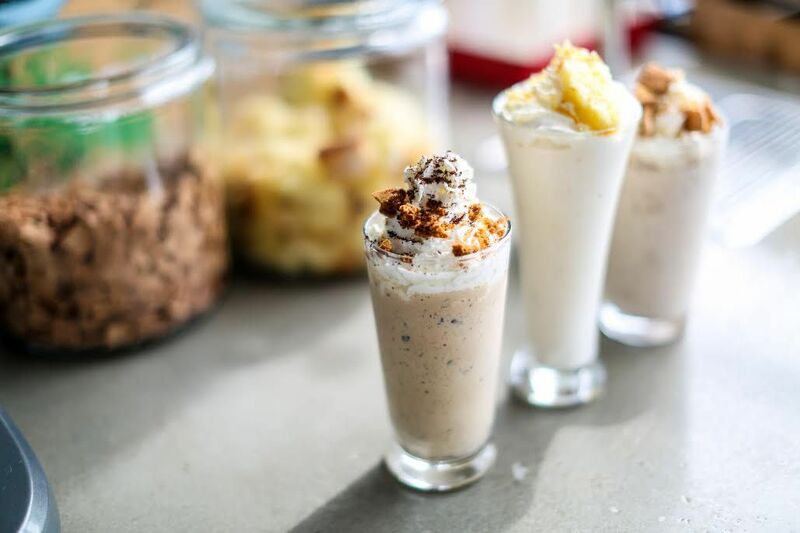 Up the road a bit, the Dolcezza Gelato Factory and Coffee Lab is done hibernating for the winter and is ready to hit the ground running with gourmet milkshakes. The new creations ($8 a pop) include: lemon pound cake (lemon pound cake pieces, Meyer lemon sherbet, whipped cream, and candied lemon zest), coffee and cookies (Stumptown Hair Bender espresso gelato, stracciatella-covered Biscoff cookies, and whipped cream), and Cinnamon Toast Crunch (Vietnamese cinnamon gelato, Cinnamon Toast Crunch pieces, whipped cream, and cinnamon powder). New milkshakes at Dolcezza Factory. The milkshakes are available exclusively at the factory (550 Penn Street NE) from 11 a.m. to 7 p.m., Friday through Sunday.